If popular rumour is to be believed, BMW, recognising the limitations of the Rover KV6 engine, developed a Valvetronic V6, which was ready for production at Hams Hall when they sold Land-Rover and MG Rover in 2000. The engine was intended solely for the Rover 75 and Freelander as the parent company's straight sixes wouldn't fit a transverse engine layout. With its intended recipients out of the BMW picture, the V6 was dropped from their production plans. 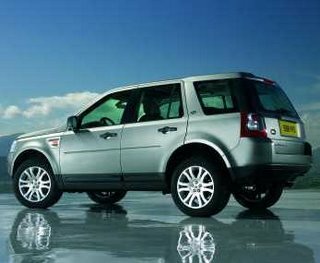 Move forwards six years and Ford launch a new Freelander with a transverse straight six, despite having no shortage of V6s. *Fivegears is unable to confirm whether this is an example of Socratic, dramatic, cosmic, or Morrisette irony, having skived off that particular class.